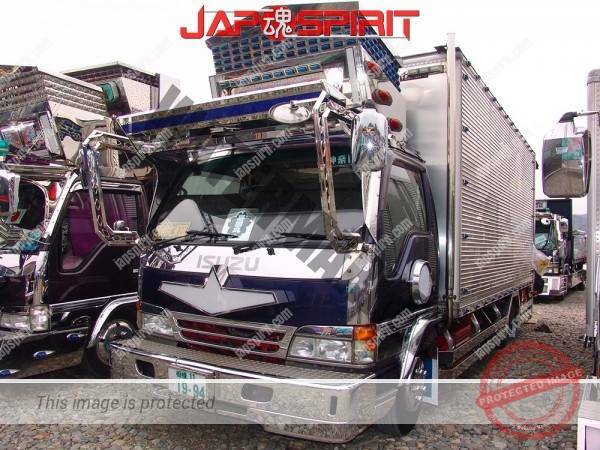 Base car is ISUZU Forward. 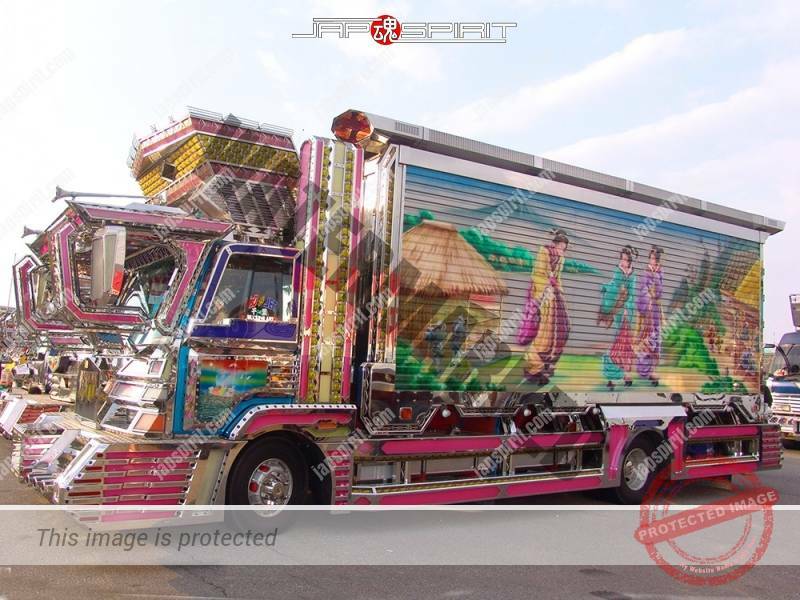 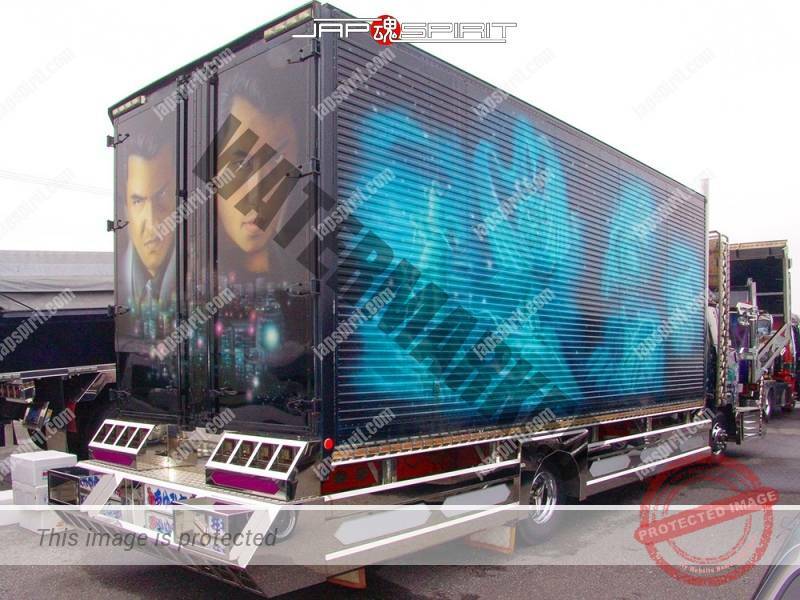 This paint is Japanese famous Yakuza actor, Takeuchi Rikiya & Matoba Kouishi. 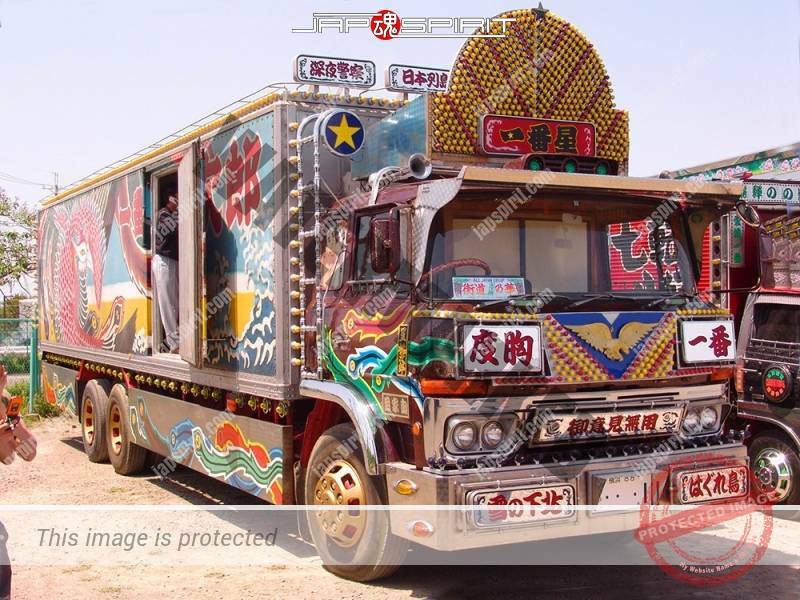 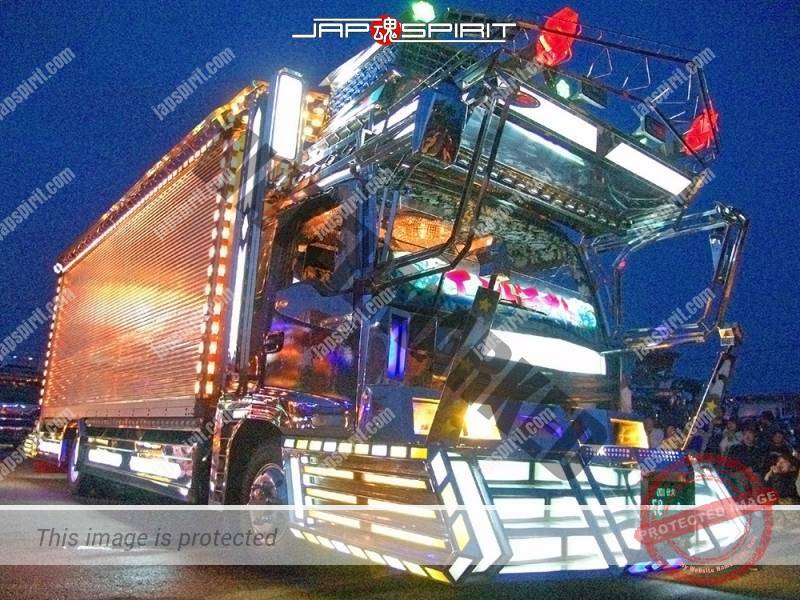 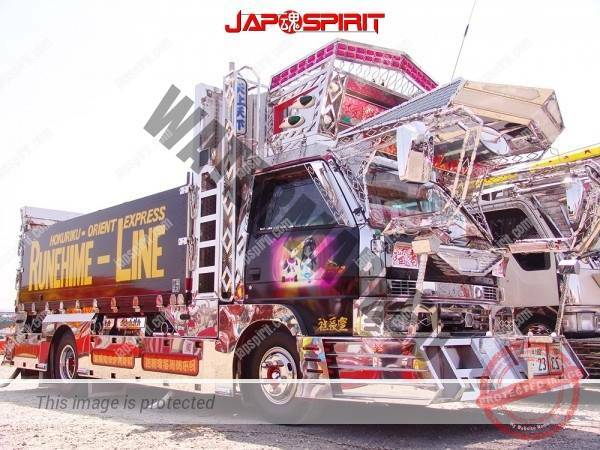 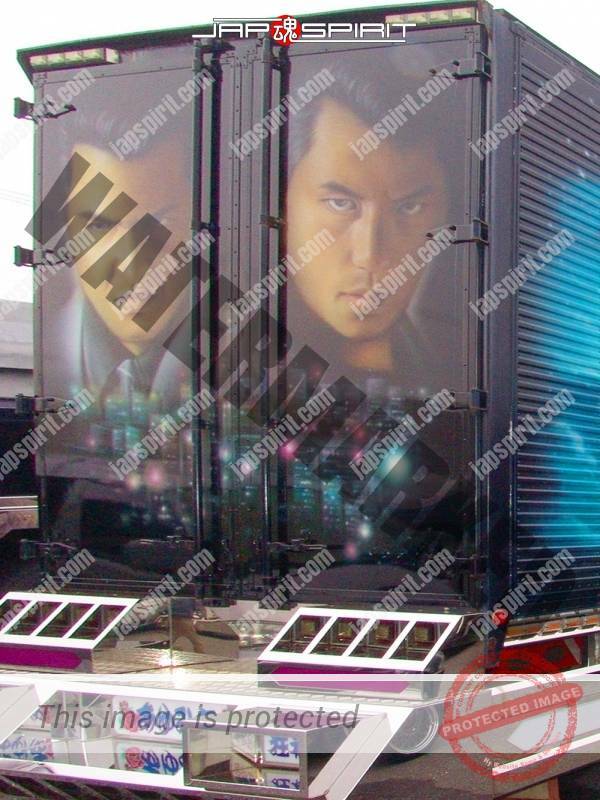 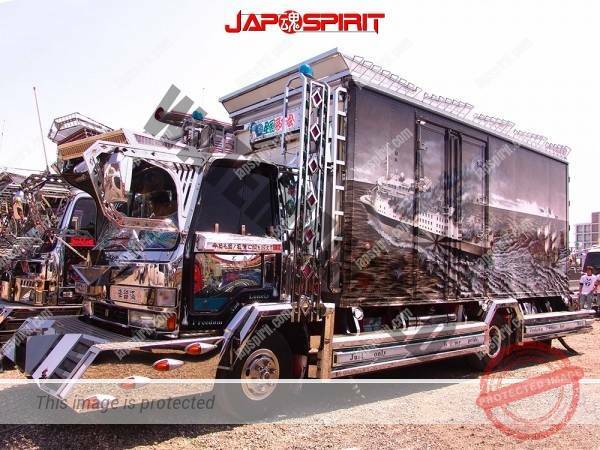 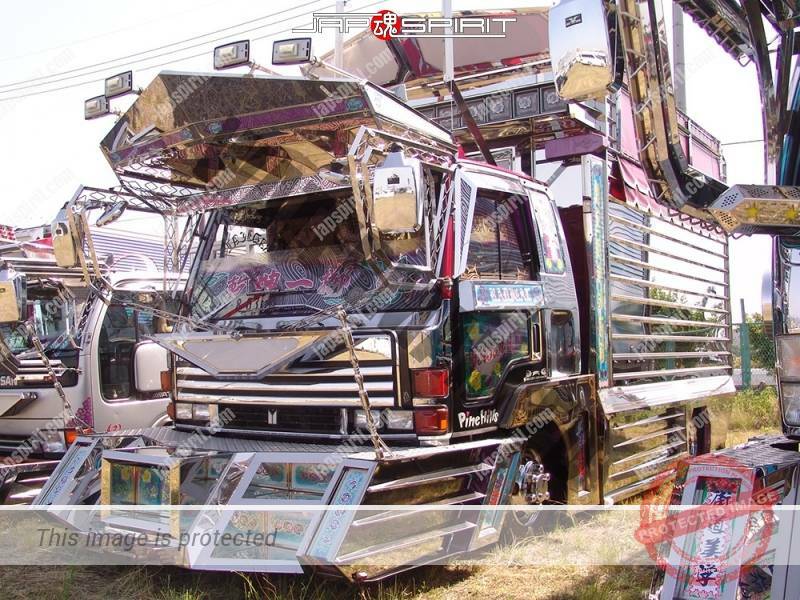 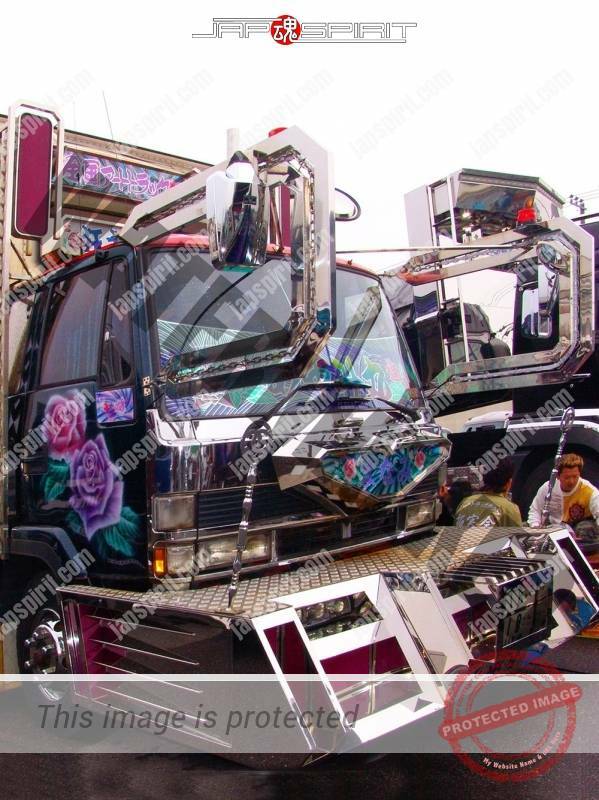 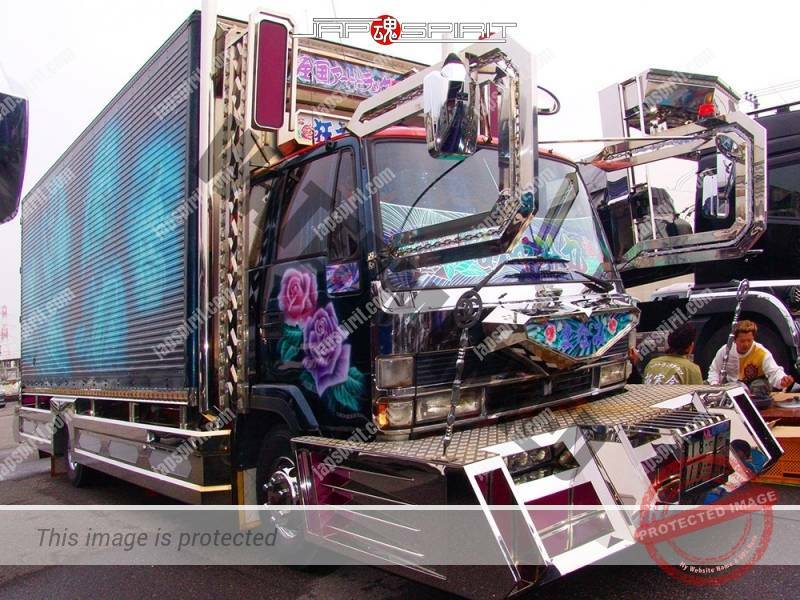 ISUZU Forword, Boxcar, Art truck style, with battle ship bombing air brush picture on side.